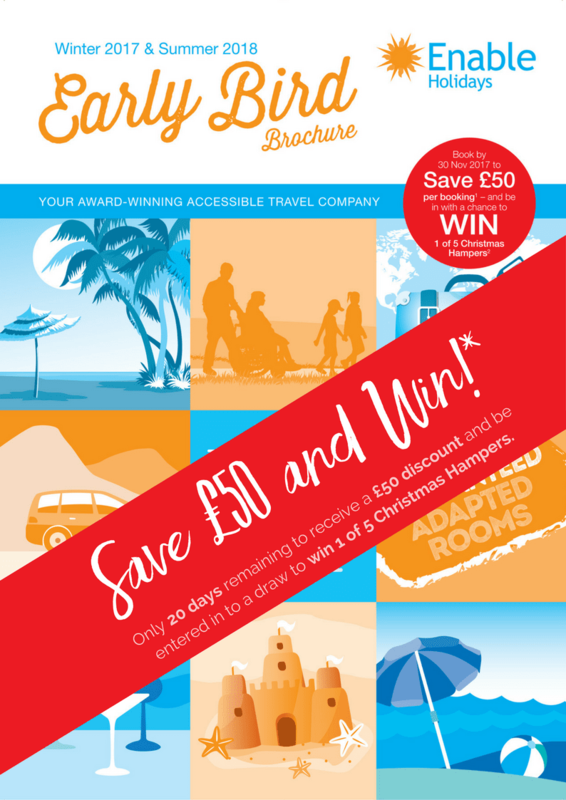 Book a holiday with Enable Holidays before 5pm on 30th November 2017 and receive a £50 discount and you will be automatically entered into a free draw to win 1 of 5 Christmas Hampers*. *Please note that this cannot be used in conjunction with any other offer. All names will be placed in to a grand prize draw and our panel of judges will select the names at random on 1st December 2017. The five prize winners will be notified by email no later than 8th December 2017. The Judges' decision is final, and each winner will receive a Christmas Hamper. No cash alternative will be offered. How Will Brexit Affect Disabled Holidays?